When it comes to building websites, you’ll need a way to copy files to and from your server and that means a robust FTP application. Yummy FTP and ForkLift are both very capable FTP tools that allow you to connect securely, copy files, synchronize them and perform other file management tasks. Yummy FTP Watcher allows you to set up watch folders on your Mac so that when any changes are made to them, they are reflected in the folder on the server. 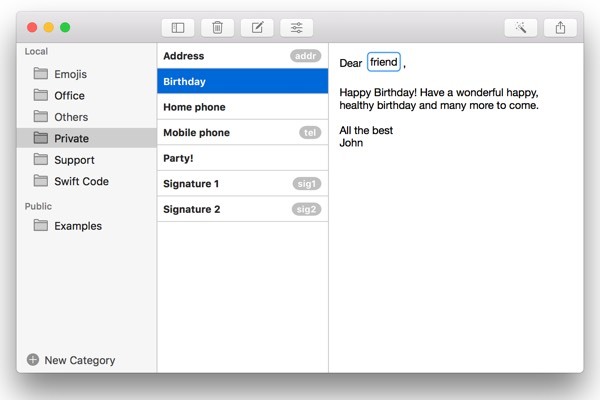 If you work with SQL databases and need to edit them on your Mac. SQLPro Studio is the answer. It supports most SQL database types, including MySQL and Microsoft SQL Server, as well as cloud-based database providers like Amazon Relational Database Service, Heroku, and Microsoft Azure. Whether you need to create tables, edit them, or identify syntax errors, SQLPro Studio makes it straightforward. If you work with SQL Lite databases, Base and TablePlus allow you to create, edit, and search data. When it comes to creating animated HTML 5 content, whether it’s for the web, iBooks, or mobile apps, there are a handful of top tools on the Mac, and Hype is one of the best. All you have to do is set up your scene, hit Record and then move elements to where you want them. Hype will create keyframes automatically. Or you can take a more hands-on approach and create or edit keyframes manually. If you need to create entire websites, rather than HTML5 animated content, RapidWeaver’s template-based website builder makes creating beautiful sites, with all the features you’d expect, very quick and easy. 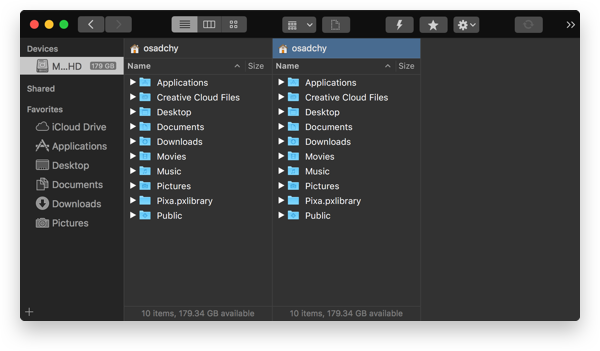 Whether you build websites or apps, or you just want to make the folders on your Mac look better, you’re going to need to create icons. Image2icon allows you to use any image on your Mac, or any image you download, and turn it into an icon for an app, a folder, or a favicon for a website. Just choose the template you want to use from those available in the app, add your image and you have your new icon! Once you’ve created a few icons, you’ll need a way to organize them. Iconjar does just that. Browse icons, search for them and organize them by category. You can preview them at any size at the tap of the spacebar and export them in a format and size you choose. Or drag and drop them onto any app on your Mac. If coding’s your thing, CodeRunner is an essential app. Write, edit, and test code in any of 23 languages, including AppleScript, C, C++, Swift, Ruby, Python, and HTML/CSS. CodeRunner makes debugging your code as easy as it could be by allowing you to set breakpoints and step through the coded line by line. Paw is a powerful API client that allows you to test and debug APIs. Interaction with REST services and the ability to create and test HTTP requests make Paw a terrific tool in any developer’s arsenal. Every iOS developer needs an iOS simulator and Flawless is exactly that. It’s perfect for comparing graphical mock-ups of your app with the final result and makes it easy to spot the differences between them. Two comparison modes — split and overlay — and support for all the common image types mean refining your app to make it look exactly how you want it to is as straightforward as it can possibly be. If you work with text, whether as a coder, a journalist or any other kind of writer, you’ll often find yourself writing the same passages again and again. Rocket Typist allows you to automate that process by saving snippets of text and recalling them at the tap of a keyboard shortcut. Or you can assign abbreviations to snippets so that when you type the abbreviation, Rocket Typist replaces it with the full snippet. You can even create macros for time and data so that when you put them in a document, they’re replaced with the current values. Expressions is the perfect tool for playing with regular expressions. Type the pattern in the top window and, below that, a text string to test it, and Expressions will highlight the result. If you’re struggling to remember regex syntax, a reference sheet is only a keyboard shortcut away. There are few things more frustrating when you need to get work done than a wifi network that won’t play ball. Whether it’s interference from other frequencies, a dodgy router, or just sheer weight of traffic, there are tools that can help you get to the bottom of the problem. 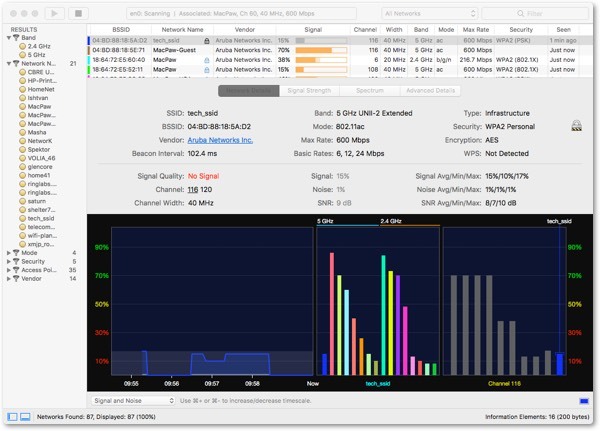 Both WiFi Explorer and NetSpot allow you to visually analyze the performance of your wifi network. Both tools build maps of all the wifi networks they can see, showing you where the best signal strength and quality is. And when you find out where the problem lies, both apps have a full set of troubleshooting tools to help you fix it. If you use your Mac with a mobile hotspot while you’re on the move, install TripMode to ensure you don’t go over your data limit. TripMode allows you to specify which apps can access the internet while it’s running. So, nothing can upload or download in the background without you first giving permission. Set a bandwidth limit and as soon as TripMode detects it’s been reached, it will stop all traffic. For secure, anonymous access to the internet, a VPN client is a necessity. Shimo supports all the major VPN protocols, has 256-bit AES encryption and allows you to make multiple connections simultaneously. You can also set it to respond to specific trigger events so that it connects automatically under certain conditions. As you can see, when it comes to technical tasks on the Mac, Setapp has some of the best applications on the platform. Whether you’re a web developer, coder, or network systems administrator, there are tools here for you.